​Chelsea are facing a crisis. 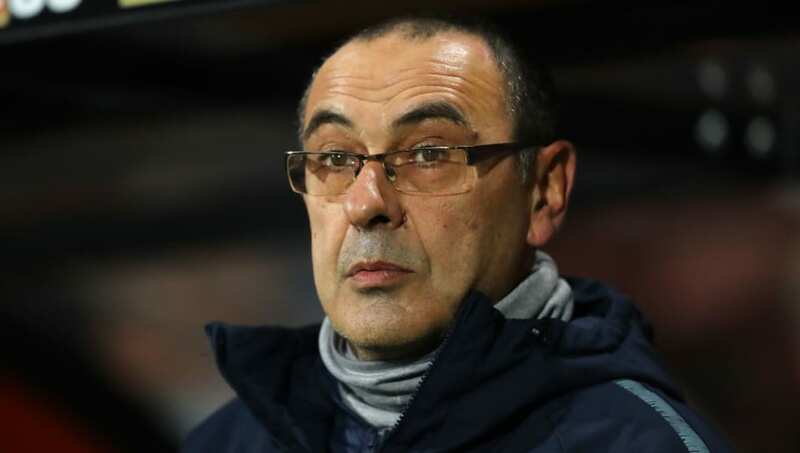 There is strong speculation that just seven months after a lengthy saga to hire him, manager Maurizio Sarri is already struggling to keep hold of his job. Chelsea started the 2018/19 season in fine form under the former Napoli boss, recording five straight Premier League wins and going 18 games unbeaten in all competitions between August and November. Since then, despite reaching the Carabao Cup final, the wheels have come off. Defeats to Wolves and Leicester came as a shock, but performances in recent away defeats at the hands of Arsenal, Bournemouth and Manchester City, each one more humiliating than the last, are a real cause for concern. There is a lack of aggression in Chelsea's play and Sarri has publicly bemoaned being unable 'motivate' the players to perform better. Rather than question whether Sarri is the right man for Chelsea long-term, it is fairer to assert that Chelsea have two clear problems. Firstly, Sarri does not currently possess players with the right attributes to implement his preferred high intensity tactical system - 'Sarriball'. Secondly, consistently poor recruitment since securing an unexpected Premier League title in 2017 has left the quality of the Chelsea squad as a whole at a lower level than at arguably any other point in Roman Abramovich's ownership. It has been clear in recent weeks that most of Chelsea's current players cannot do what Sarri wants them to. Being able to press from the front is beyond ageing attacking players the wrong side of 30 - Pedro, Willian, Olivier Giroud. As good a finisher as he is, at 31 Gonzalo Higuain cannot physically be the same player he was three years ago when he last played under Sarri. Jorginho was brought in from Napoli at Sarri's behest to get the right system in place, but the Italian international has been increasingly identified as a weak point that opponents can shut down, while N'Golo Kante has been a casualty of the changes by being moved to an alien position a little wider and further forward where is no longer able to play to his obvious strengths. While Sarri at least deserves the benefit of the doubt regarding a lack of signings to fit his system - his delayed summer start and the impossibility of major surgery in January can be blamed for that - any top manager ought to be able to compromise and adapt short-term and get by, as Pep Guardiola initially did at Manchester City, to get results. There, Sarri is struggling. The bigger issue in that respect is that maybe he sees no way to adapt short-term because the Chelsea squad as it sits is simply not good enough to compete where the club expects as a result of the quality being gradually lowered. It is telling that Danny Drinkwater, Davide Zappacosta and Emerson Palmieri, signed for an estimated combined fee of £75m, have barely had a look in this season. Drinkwater in particular hasn't played since a 30-minute substitute appearance in the Community Shield. Nemanja Matic was allowed to leave to make room for £40m Tiemoue Bakayoko, who was shipped out after one underwhelming year. Alvaro Morata failed to justify the hype of a £60m price tag for 18 months prior to his loan exit to Atletico Madrid in January, while brief flashes from Ross Barkley earlier this season have ultimately done little to dispel concerns over his £15m arrival last year. Signing Olivier Giroud for as much as £18m on a short-term contract last season has also been a waste. None of these recent buys have made Chelsea better, instead making the squad worse. Meanwhile, those that needed replacing - an ageing David Luiz, for example - are still around. Jorginho may prove to be a smart purchase with the right players around him in the future, but right now he is struggling. Elsewhere, Kepa Arrizabalaga is only the world's most expensive goalkeeper because of the desperate panic created when Thibaut Courtois insisted on leaving last summer. His performances compared to the likes of Premier League contemporaries Ederson, Alisson and David de Gea have fallen far short of his 'world class' price tag. There would even be question marks over pinning hopes for the future on £58m January signing Christian Pulisic when he eventually arrives in July. The American has struggled to command a regular place at Borussia Dortmund this season after being pushed out by Jadon Sancho and doesn't currently seem worth the hype that has followed him since the age of 17. For Chelsea, sticking with Sarri will require enormous investment to build a squad in his image. The danger there is that the remainder of this season becomes a write-off, the club is forced to sell Eden Hazard and even struggles to attract a high enough calibre of player without the lure of Champions League football yet again to undo the damage of the last two years . Still being without a technical director since the departure of Michael Emenalo in November 2017 also brings further difficulty in the realm of transfers and the long-term football planning. Pulling the trigger on Sarri would not be a complete surprise given Chelsea's track record in this area. They have even had success by getting rid of coaches mid-season, notably in 2009 and 2012 with FA Cup and Champions League honours. But even that still relies on an interim boss getting much more out of the same sub-par squad and the club still having to start from scratch yet again come summer.